Coming out of the retreat I felt physically stronger and more flexible, body nourished with healthy food and mind calmed. The location in the Alpujarras is amazing, peaceful and full of energy from the sounds of the peacocks, birds and bees. I experienced the retreat as very intense and energizing, deepened my yoga practice and got to learn a lot from the teachers about the yoga philosophy. "What Pia and Ina offered me during the last yoga retreat (Mai 2018): a safe, beautiful and harmonious imaginary aura that i can bring back to me whenever i like to. Ever since i took part of the retreat, i practice yoga in a more peaceful and confident way. 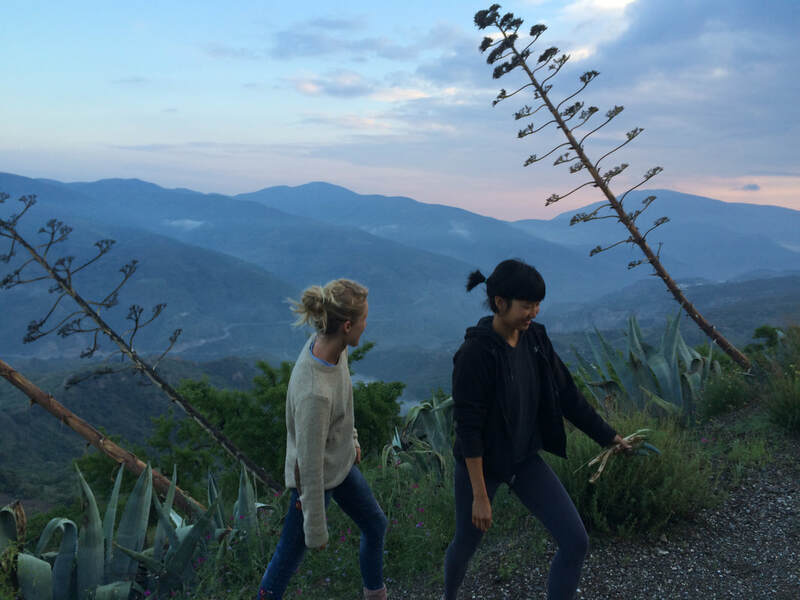 As soon as i am in the first asana, a lot of safe and beautiful memories get back to me, and my mind travels back to the mountains of Andalusia, in the calm and luminous shala where we were having our everyday-practice. Ina's and Pia's voices are still wandering in my mind during the practice: "long spine", "don't forget to breath". And the memories of the Cortijo's silent morning routines are still floating around: early waking-up, then greeting the dogs and the flowers, then energetic yoga, then delicious and healthy breakfast facing the mountains and the olive trees, then finally break the silence and spend great moments with the participants (and the peacocks), hopping in the mountains ! Thanks for everything and have fun with the coming retreats !"